Emersyn is using Smore newsletters to spread the word online. Should parents be permitted to opt out of required vaccinations for their children? I don't think that parents should have the ability to not vaccinate their children. It puts both their child and other children at risk of deadly diseases. Many parents don't vaccinate because of the original, inaccurate, media coverage. “We made no claims about the vaccine causing autism. In fact, we said this does not prove an association. And all we urged was further research.” The authors of the paper wrote at the time. Even though they admitted to this, they still made parents suspicious. Measles are protectable with vaccines. 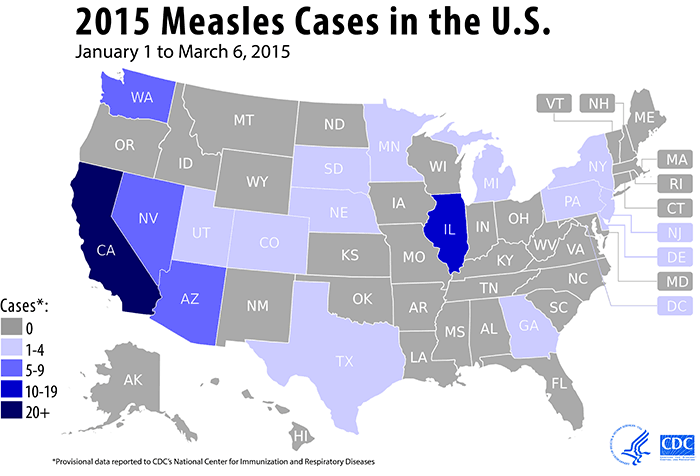 Before vaccines, 432 cases of measles a year resulted in death. After an vaccination campaign, that number dwindled to 86 measles cases by 2000, with zero fatalities. When children who are old enough to be vaccinated don't get the vaccines, they put the infants who aren't old enough yet at risk. There is more chance of harm from deadly diseases than from the vaccines that keep them away. An intentionally unvaccinated 7-year-old boy in San Diego sparked an outbreak of measles in 2008. He ended up spreading his illness to 11 other children, all of whom were also unvaccinated, putting one infant in the hospital. Forty-eight other children younger than vaccination age had to be quarantined.